The smart way to master ABC and 123. 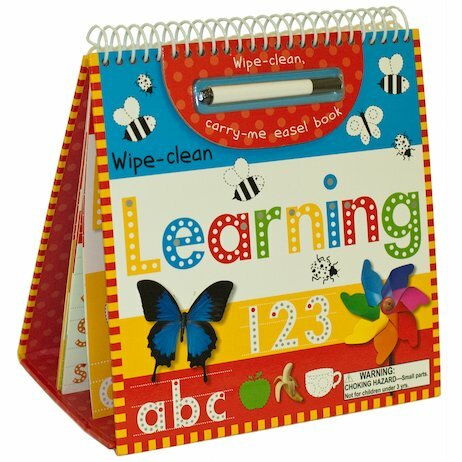 This nifty learning easel is beautifully bright and full of wipe-clean play. You’ll adore the merry activities and clever stand-up shape. Play spotting games, do puzzles, trace shapes, draw pictures, count objects and write out ABC letters. Then wipe clean – and do it again! There are jolly characters and bright artwork; aliens to draw and cheeky monkeys to count. The ultimate in carry-along fun. Keep it with you at all times.